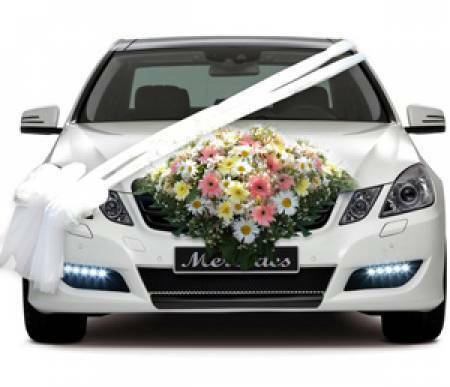 Symbolic to all the success, we have achieved in the industry, remains our status as prominent enterprise of rendering Hire Car For Marriage. As per the clients' requirements, we provide the latest model of luxury cars, vans & coaches with reliable and experienced drivers for wedding. We provide a very important to choose a vehicle that offers comfort, style and the most of all, stunning photos to look back on. Moreover, this service is provided to clients only after considering their budgetary requirements. Over a period of one year, we Rana Taxi Service, have occupied the Numero Uno position in this domain. Today, we are considered as the renowned tour and travel company in India. Our wide range of services includes Tempo Traveler Service, Taxi On Rent, Cab Service, Car Rental Service, Ambulance Taxi Service, Taxi in Chandigarh and Taxi Hiring Service. Also, we are instrumental in providing Tour Packages, Bus Services, Car Hiring Services, Hotel Booking, Religious Tour Services, Travel Agents, Taxi Services Chandigarh and many more. We are always committed towards catering to clients with our services in the best possible way. Our professionals are always determined to provide total satisfaction to clients. We are located at Chandigarh (India) but expanding our client base to almost all parts of the country slowly and steadily. The dedication towards attaining clients' optimum satisfaction through our wide range of services has helped us in scaling perpetual growth in the industry.